It wasn't the easy road that made you choose your truck. You chose it because there was new territory to be explored, wilderness to be tamed and terrain to be conquered. And if you didn't settle for inchgood enough inch with your truck, why would you settle when it comes to choosing a bull bar? 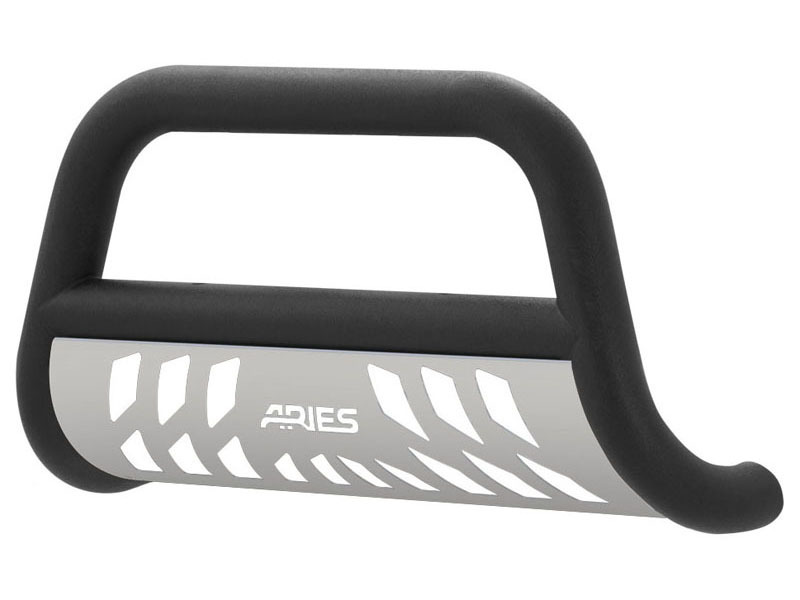 The Aries Pro Series 3 inch bull bar is built, finished and tested for the hardworking, off-road-style truck. It is constructed with heavy-wall, 3 inch diameter tubing of high-strength carbon steel, and it is finished in a durable, textured black powder coat. 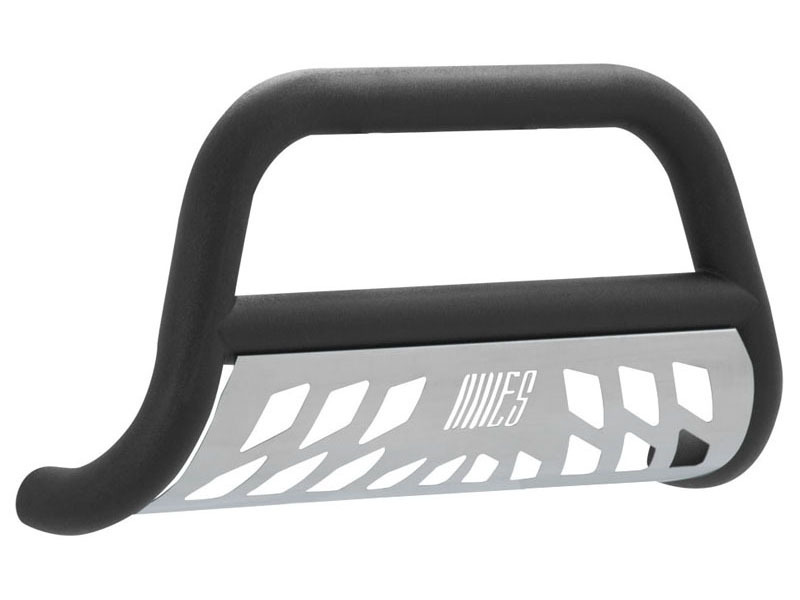 This polyester-based powder coat finish is not only resilient to chipping and peeling, but the textured surface is designed to easily hide minor scratches, grime and whatever else you encounter on the trail. We also put it through a salt spray test to ensure excellent rust resistance in any season. To add functionality and customization options to your truck, the Pro Series bull bar comes with a customizable crossbar and a removable skid plate. The crossbar features two pre-drilled holes to accept round lights up to 5 1/2 inch in diameter or an LED light bar. 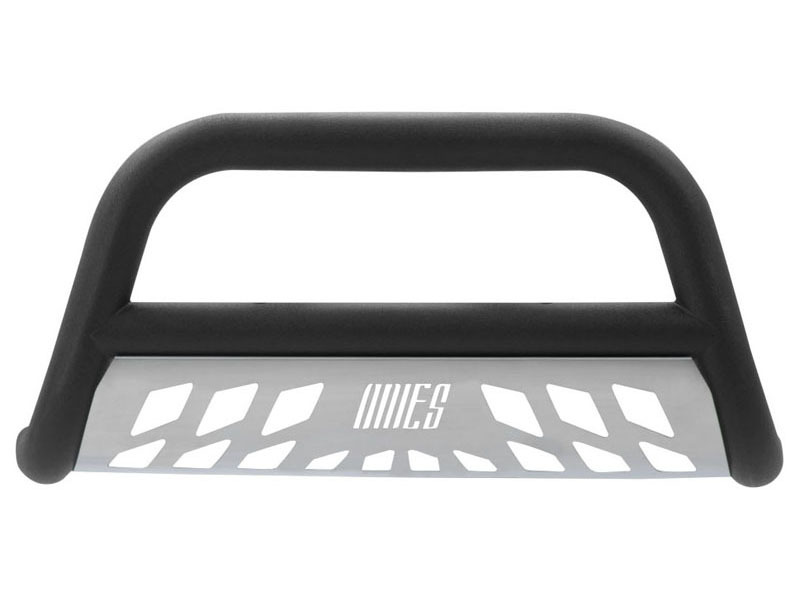 The skid plate is constructed from 304 stainless steel and has a brushed finish to hide nicks and scratches from road debris. It also features an aggressive, Aries-exclusive cutout and a removable design for a customized look on your vehicle. Like all Aries bull bars, the Pro Series 3 inch bull bar is made for a vehicle-specific fit. 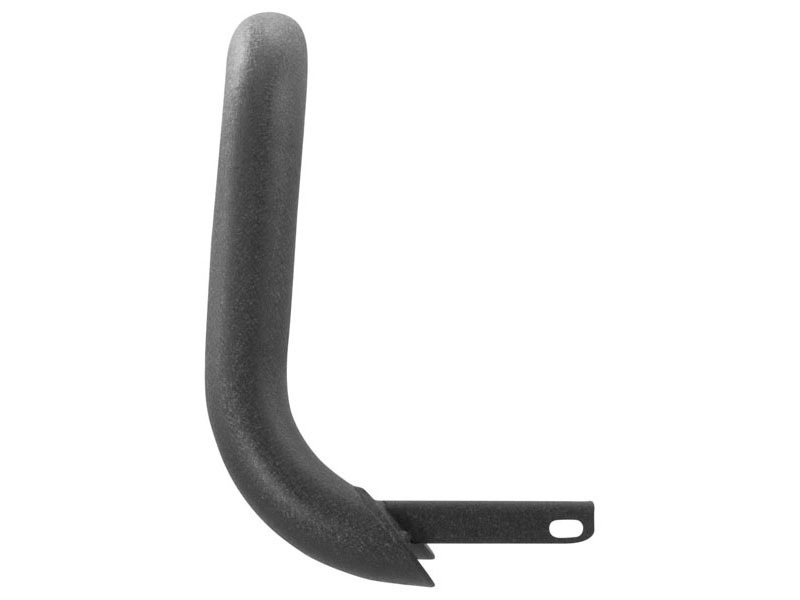 Each one features a custom bend to contour to the profile of your truck or SUV, and it mounts with vehicle-specific brackets for an easy, no-drill installation. Don't settle for less. 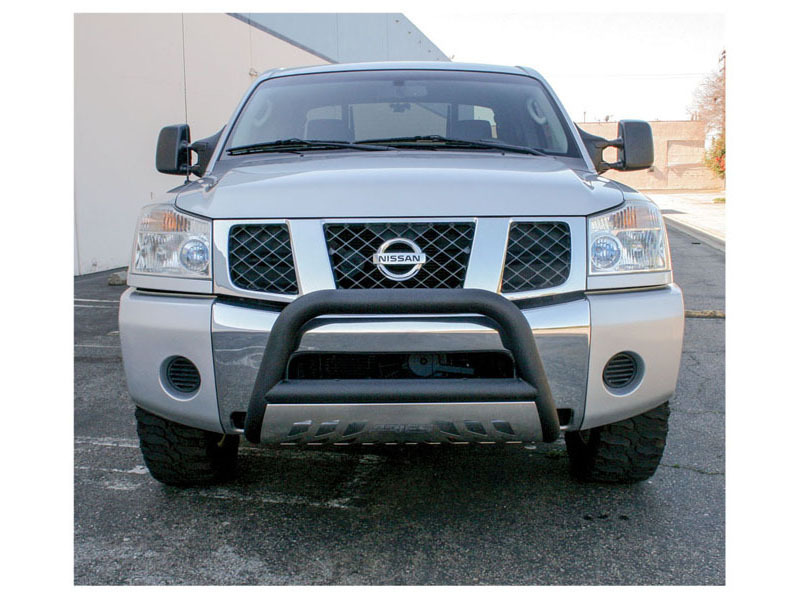 Give your truck the front end it deserves with the Aries Pro Series bull bar.